"Crossing the Moss Line" is a tragicomedy that connects actions to slippery choices and unintended consequences. …and an unexpected guest comes to visit. In this novel, set on Ibo Island during the early 1940’s, readers are reminded that “good comes from bad” as a variety of characters make decisions that have unintended consequences. Well-developed and slightly shady characters bring the action to life in a skillfully crafted tale. Hawthorne has evidently researched Southern folklore, making this an authentic and enjoyable story. Dawsonville, Georgia was the moonshine capital of the country in the 1940s. Thunder and White Lightning is a family story of moonshiners, whiskey trippers, dirt tracks, soldiers, stock cars drivers and the untamed characters-real and fiction-who make NASCAR possible and pointed it toward the future. 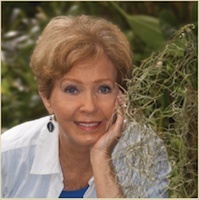 Grace Hawthorne is an award-winning author. Her first novel, "Shorter's Way" won an Independent Publisher Award for Best Regional Fiction. 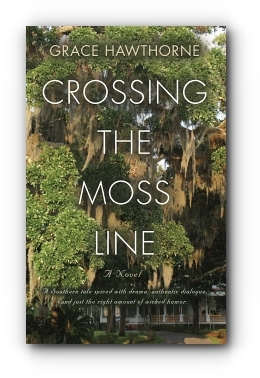 "Crossing the Moss Line" is her third novel. She has written everything from ad copy for septic tanks to lyrics for Sesame Street and the libretto for an opera.